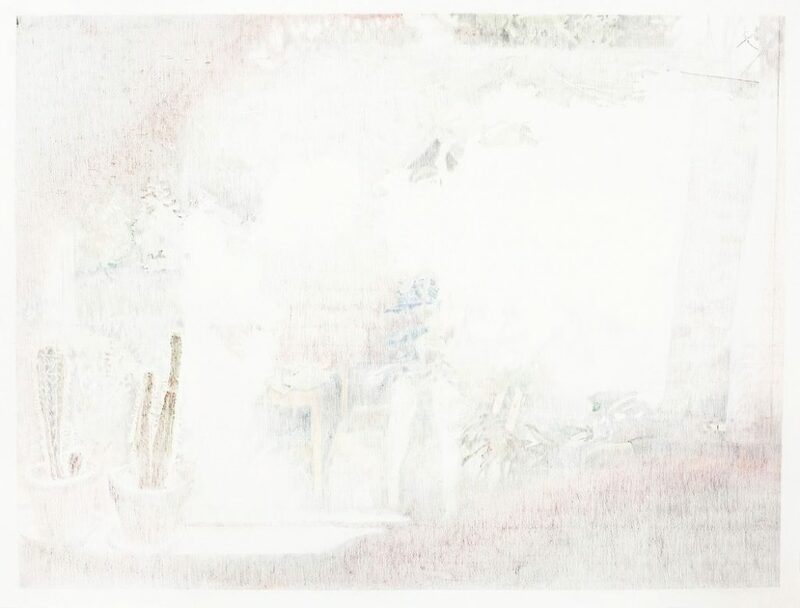 Gretchen Frances Bennett, Fenestra, 2017, color pencil on paper, 38 X 50 inches. 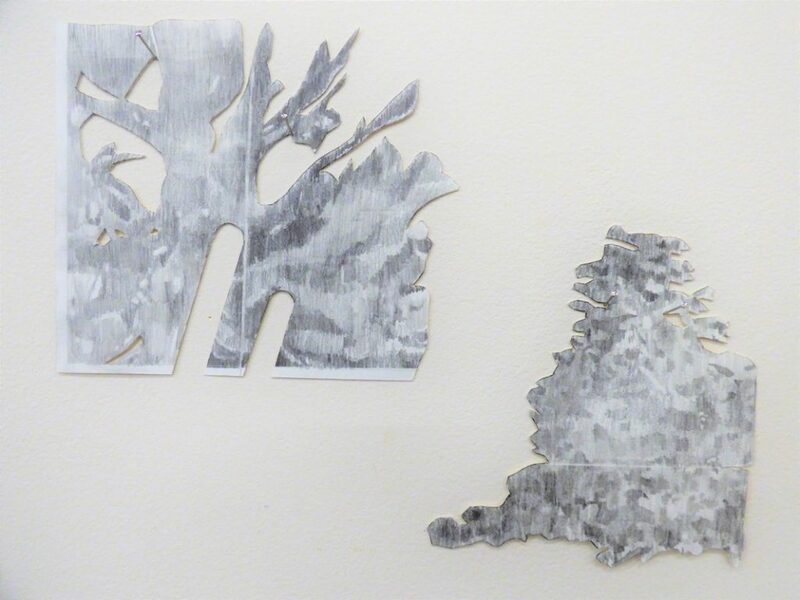 Gretchen Frances Bennett: “Objects that appear in my drawings are pieced together place holders, in an ongoing search for the things that stay. They speak to a fleeting image caught peripherally, that can hold basic significant information. This constellation of related and incomplete fragments continually touches down on this question of what stays, yet, is not overly tied to it. 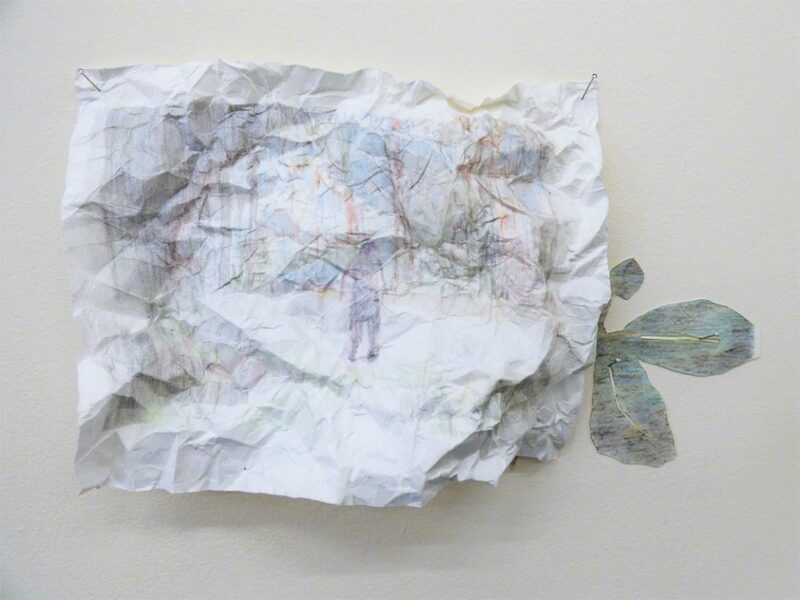 Gretchen Frances Bennett, Scene 6 (fragment), 2017, color pencil on hand-cut paper, approximately 6 inches per piece. Gretchen Frances Bennett, Scene 7 (fragment), 2017, color pencil on hand-cut paper, approximately 6 inches per piece. Gretchen Frances Bennett, Like Nevermind (with Scene drawings), 2017 color pencil on paper, dimensions variable (sheet of paper is 16 x 20). “Gretchen Frances Bennett: The Rough Draft of Everything,” Bridge Productions, Seattle, WA. Through July 29, 2017.